Move Your Induction Program Online with inductPro! With inductPro you can copy existing material from Word and PowerPoint and create your own online courses in minutes. You can add tests and quizzes that automatically generate compliance reports and deliver custom certificates to your staff and contractors. You can use inductPro tools to re-induct annually on key courses and the software sends reminder emails to your staff and contractors. inductPro provides your organisation with the option to license our up-to-date workplace compliant induction courses. The course includes all WH&S workplace topics and features an inbuilt knowledge check to generate reports and certificates for your staff and contractors. The development involves the establishment of a partnership between the client’s content experts and our Course Development team, managed by our lead instructional designer. We create engaging and effective courses featuring video, audio, simulations, images, tagged documents and custom assessments. A key component of an online induction program is the ability for the system to automate the re-induction process. Many of our clients choose the re-induction tools on courses such as Emergency Evacuation. Course re-induction can be set to reoccur every 3, 6, 9 or 12 months. Alternatively, the re-induction can be a specific date selected on the calendar. Two weeks before the re-induction, staff and contractors receive an email notice from the system. On the days of the re-induction a second email is sent advising the learner to login and complete the course. Managers can generate instant reports to show staff or contractors that have not completed the re-induction and they can choose to send another. Set Up Training Groups with inductProinductPro can set up your own Training Groups to deliver a customised induction program. We can set up unlimited groups to deliver custom induction programs for different office locations, contractors, visitors and groups of staff. After setting up your group you can assign learners individually or by using the bulk import function. After assigning learners to the group you can simply select the courses you wish to allocate to the group.If one of your courses is updated, the update is viewed automatically by all learners in the group.We can generate dynamic reports on each of the groups or on individual staff and contractors. Online Contractor Information with inductProinductPro provides a range of innovative solutions to manage your con-tractor induction program. Option 1: The contractor registers themselves by searching and locating an approved business that you have imported into the platform. Option 2: Businesses can self-register on your induction dashboard and then their staff (your contractors) can register by selecting one of these businesses and then completing the registration process. 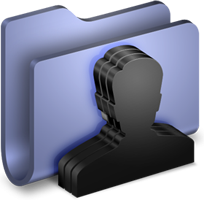 As part of the registration, your contractors can be compelled to upload key files e.g. certificates and insurances. inductPro features the ability for businesses to register their details on your site. 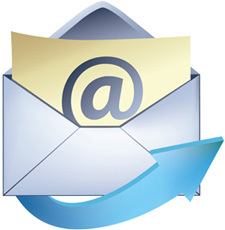 STEP 1: You email your businesses the link to the Business Registration portal. STEP 2: Your businesses register on the site and accept your terms and conditions. STEP 3: The business owner advises their staff to visit your site to complete their induction. STEP 4: These staff search for their business on your site and then register their details online. STEP 5: They then complete their induction courses and receive their Course Completion Certificates. STEP 6: You can compel all businesses and contractors to re-register on your site annually.